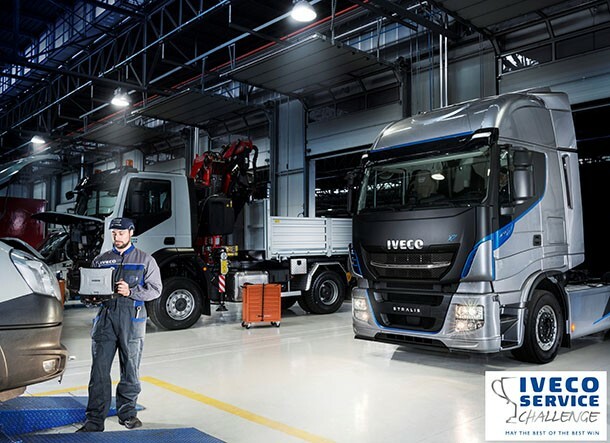 Iveco Service Challenge : who will be the best repair centre ? After a successful first edition, Iveco renews the Iveco Service Challenge this year. This competition is open to every repair team in the European Truck Stations network. After several qualifying phases started since January, the best technicians will be will be rewarded. This year, the requirement level will be even higher than last year. Indeed, last year, the rating criteria were based on the intervention period, the spare parts availability as well as the technical expertise of the team's members. As a reminder, the Italian team Tentori Veicoli Industriali won last year. For the 2018 edition, the organisers have added new criteria : Time of arrival and repair within 24 hours and efficiency in managing recall campaigns. Like the 2017 contest, the finalists of the second edition will be invited to the Iveco client centre in Turin (Italy). It is inaccurate to think of this competition as an internal event by Iveco. Indeed, regarding the development of its Truck Stations network across Europe, the manufacturer wants to show their future clients the efficiency of their teams. These clients want a real expertise from these stations as well as an important intervention capacity (different type of vehicle or different hours). The competition will showcase the technicians' capacities when intervening on trucks. It could become a real accreditation program of the Truck Stations as well as the technicians working there.